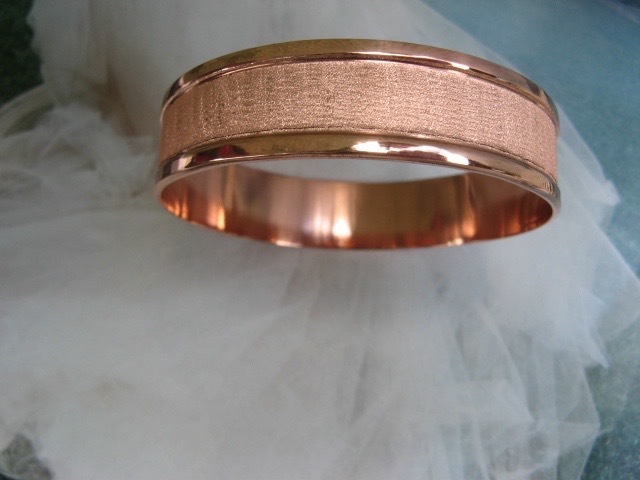 Solid copper bangle bracelet . 5/8 of an inch wide. Thick design. This bangle is for a small dainty size wrist, 6 to 6 1/2 inch wrist. It will not fit an average size wrist. This bracelet is absolutely gorgeous. It's my favorite purchase to date.